Attwater, Donald, comp. A Dictionary of Mary. London: Longmans, 1956. Billet, Bernard, et al. Dictionary of Mary. NY: Catholic, 1985. O’Carroll, Michael. Theotokos: A Theological Encyclopedia of the Blessed Virgin Mary. Collegeville: Liturgical, 1982. Breen, Eileen, comp. Mary — the Second Eve, from the Writings of John Henry Newman. Rockford: TAN, 1982. Carol, Juniper B., ed. Mariology, Vols. I-III. Milwaukee: Bruce, 1955-1961. Daniel-Rops, Henri. The Book of Mary. NY: Hawthorn, 1960. Duhr, Joseph. The Glorious Assumption of the Mother of God. NY: P.J. Kenedy, 1950. Gambero, Luigi. 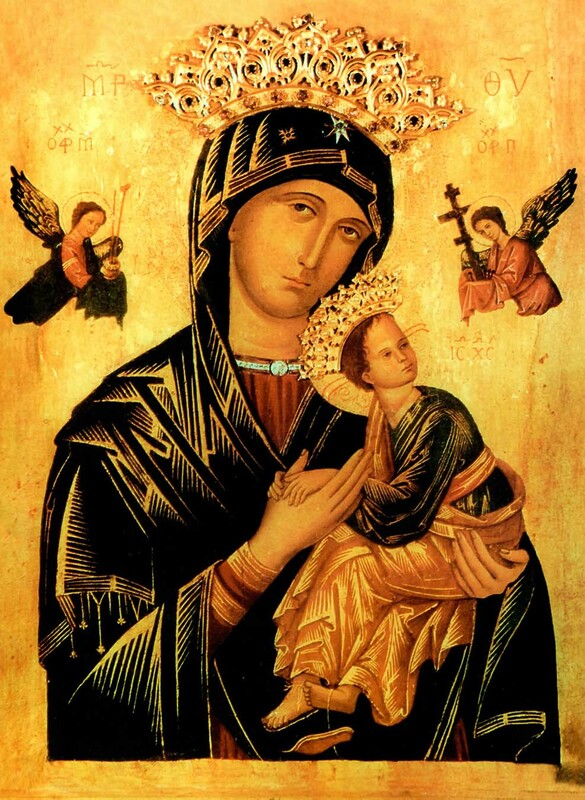 Mary and the Fathers of the Church: The Blessed Virgin Mary in Patristic Thought. San Francisco: Ignatius, 1999. _____. Mary in the Middle Ages: The Blessed Virgin Mary in the Thought of Medieval Latin Theologians. San Francisco: Ignatius, 2005. Hahn, Scott. Hail, Holy Queen: The Mother of God in the Word of God. NY: Doubleday, 2001. Jelly, Frederick M. Madonna: Mary in the Catholic Tradition. Huntington: Our Sunday Visitor, 1986. Most, William G. Mary in Our Life. NY: P.J. Kenedy, 1959. Nugent, F., comp. “Fairest Star of All” — A Little Treasury of Mary. Paterson: St. Anthony Guild, 1956. Scheeben, M.J. Mariology, Vols. I and II. St. Louis: Herder, 1946-1948. Sheen, Fulton J. The World’s First Love. NY: McGraw-Hill, 1952. Supple, David, ed. Virgin Wholly Marvelous: Praises of Our Lady by the Popes, Councils, Saints, and Doctors of the Church. Cambridge: Ravengate, 1981. Vollert, Cyril. St. Mary’s Theology Series, 3: A Theology of Mary. NY: Herder, 1965. Bojorge, Horacio. The Image of Mary: According to the Evangelists. NY: Alba, 1978. Buby, Bertrand. Mary of Galilee: Volume I, Mary in the New Testament. NY: Alba, 1994. Cantinat, Jean. Mary in the Bible. Westminster; Newman, 1965. Feuillet, Andre. Studies in Scripture: Jesus and His Mother, According to the Lucan Infancy Narratives, and According to St. John. Still River: St. Bede’s, 1974. McHugh, John. The Mother of Jesus in the New Testament. NY: Doubleday, 1975. Miguens, M. Mary “The Servant of the Lord” — An Ecumenical Proposal. Boston: Daughters of St. Paul, 1978.
de la Potterie, Ignace. Mary in the Mystery of the Covenant. NY: Alba, 1992. Quigley, Richard F. Ipse, Ipsa: Ipse, Ipsa, Ipsum — Which? The Latin Various Readings Genesis iii, 15. NY: Frederick Pustet, 1890. Schaefer, Aloys. The Mother of Jesus in Holy Scripture. NY: Frederick Pustet, 1913. Sennott, Thomas Mary. The Woman of Genesis. Cambridge: Ravengate, 1984.